This idea came from the Mailbox magazine. This project is done at home. Students research a famous person and write a biography of that person. 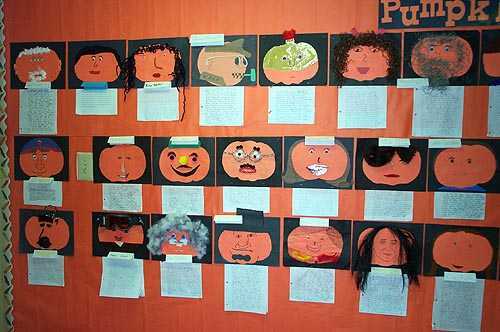 Then they decorate a pumpkin "head" to characterize that person.